Join us for this year's Credo Women in Leadership Institute, where the featured theme will be "Courageous Leadership: Managing Your Board." One of the most critical relationships in a presidency is the one with your Board of Trusees. Come together with women presidents from around the country to tackle some common – and some unusual – board challenges and opportunities in a collaborative, solutions-oriented setting. Topics for discussion are likely to include, among others, responding to your board about current tenure questions; new methods for changing demands on and of faculty; board governance; the role of the executive committee as trusted advisors and in contract negotiation; and building a relevant, engaged, appropriate and strong board. Join us for the 2016 CWLI for learning, networking, and replenishment. Joanne Soliday, Owner and Founding Partner of Credo, will consolidate her experiences in over 200 board meetings and facilitate a session on the 10 dysfunctions she sees as board of trustee members attempt to find relevance in their role. She will address board chair/president relationships and meeting organization as two of the issues that influence board progress. Tiffany Franks, President of Averett University, will facilitate a session on board engagement. She will describe a steady increase in engagement over the last 10 years and share the intentional strategy she used to make it happen. The right level of board engagement has been a continuous conversation of presidents nationwide. Session 4 - Board Response in a Crisis presented by Barbara Farley, Ph.D., President, Illinois College (3:15 - 4:15) Barbara Farley, president of Illinois College, will facilitate a session about mobilizing your board during a season of crisis. The unusual events leading to state budget cuts compelled the college to act immediately on a dramatic loss of student aid. The board response or organization around the issue, was and continues to be crucial to the college and supportive to administrative action. Deana Porterfield, President of Roberts Wesleyan and Mary Beth Cooper, President of Springfield College will facilitate our closing session by encouraging participants to bring board situations to the floor that have been troubling or stuck. They will also encourage best practice strategies to be shared. This summary session will be an opportunity to pull together the most important learnings from the Institute and go a bit deeper by understanding how to act on them. To reserve your room: Click HERE to reserve your hotel room under the CWLI group rate. Want to know more about the O.Henry? The O.Henry Hotel is locally owned and passionately run. Convenient to Friendly Center and downtown Greensboro, the O.Henry is known for southern hospitality and elegant charm. Your stay includes a complimentary full breakfast buffet, afternoon tea, and countless amenities. We look forward to a collaborative, energetic, strategic series of presentations and conversations! Ready to register? Reserve your spot here. Already registered? 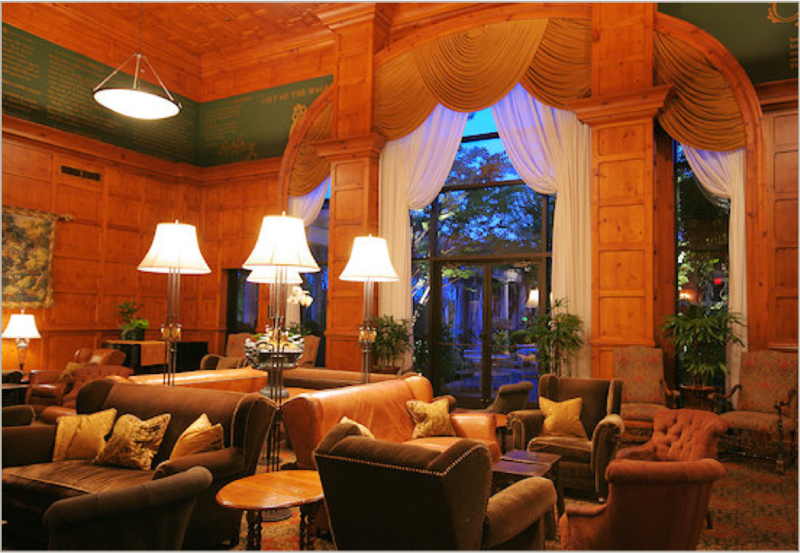 Book your room at the beautiful O.Henry here. Contact us to invite a Credo speaker to facilitate your next event. Mary-Beth A. Cooper, Ph.D., D.M., 13th president of Springfield College, brings experiences from a long and distinguished career in higher education administration and community service and leadership. Organizational leadership in practice comes to life with Barbara Farley, President of Illinois College, and presenter of Board Response in a Crisis. The collaborative, energetic President of Averett University in Danville, Virginia, facilitates Building an Engaged Board. Joretta Nelson, Ph.D., is a Senior Vice President at Credo and a life-long learner. Amy Novak, Ed.D., President of Dakota Wesleyan University, is a courageous leader and trend setter. Deana Porterfield, Ed.D., is no stranger to leadership, problem solving, and communication. Find out more about the Co-Founding Partner / Owner of Credo and author of the book "Surviving To Thriving."